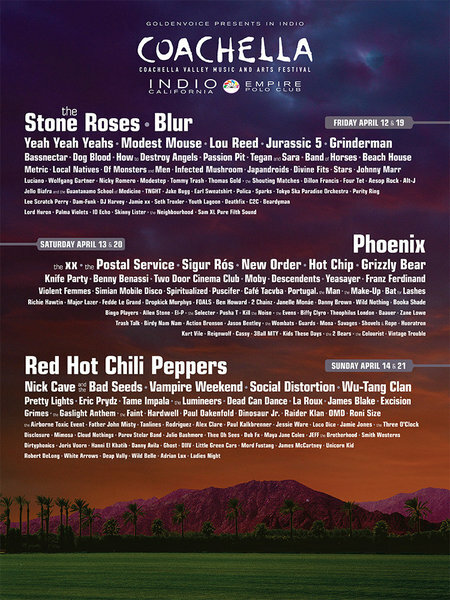 We wouldn’t really be a music blog if we didn’t post this within 24 hours of the line-up being leaked – its the 2013 Coachella line-up. Digest it and discuss amongst yourselves. More tickets go on sale here Tuesday.